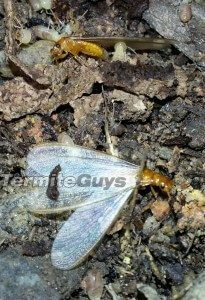 Over the last week millions of winged termites called alates have taken to the air around Brisbane and South East Queensland. This annual event is how termites start new colonies. Even as you read this, thousands of new colonies are getting started… preparing for a long life of timber consumption. Every successful colony could survive 50 years or more, plenty of time to attack your home! You may have noticed these flying termites on the windscreen of your car, stuck in cobwebs around your house or perhaps floating in your pool (if you are lucky enough to have one!). If you have seen them then there must already be a thriving colony of termites somewhere near your house! Alates are weak flyers, perhaps making 200­300 metres with the help of a prevailing breeze. The vast majority of these flying termites will already be dead. 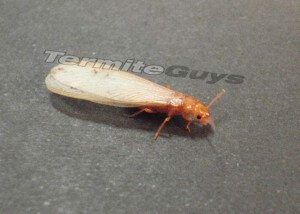 All termites are vulnerable to drying out in the open air; even alates which are designed to make this flight. Unfortunately the termites compensate for this by sending literally millions upon millions of flyers out in one massive flight. It is also real bonanza for the local wildlife but enough will survive to fund the next generation of house eating miscreants. It is important to note that they can’t just fly into your house and start munching. 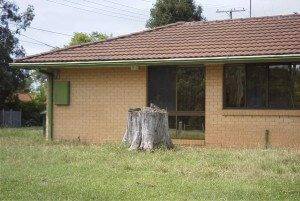 They need a special set of circumstances to live; moisture, soil (or a soil like medium) and a nest site such as a dead stump or living host tree. Clean your gutters… they have been known to get started in leaf clogged gutters where enough moisture has been trapped. If you have seen large numbers of these critters then it is a near certainty that there is already a big colony nearby. 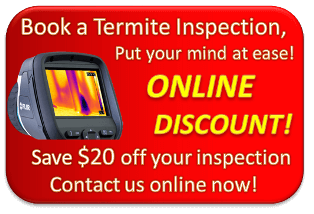 Contact the Termite Guys for a thorough inspection so we can find it before they can give you any trouble!